Cool Gaga and MV (Lady GaGa – Telephone [Feat. Beyonce]) again. That’s why reach 1bn video views. 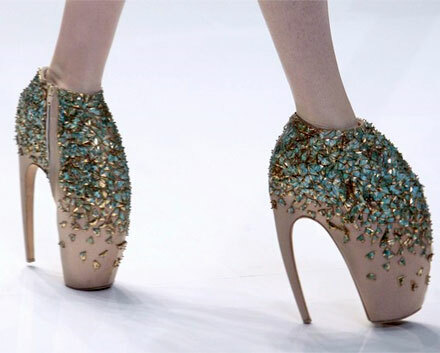 In Lady Gaga’s latest video, the musician sports a few pairs of the super-high heels (Alexander McQueen’s Fashion), marking the first time these crazy creations have been caught on a celeb.